All companies, whether they are designers, manufacturers, or distributors, are expected to do their part in providing consumers with safe and reliable products. If they fail to uphold this duty and release a defective product that causes harm to consumers, they may be held liable in the court of law, even if the oversight from which the defect originated was unintentional. Such measures exist to protect consumers from the unfettered and wrongful practices of negligent companies that prioritize profit over everything else. It is important for consumers who suffer injuries due to defective products to consult with an Anaheim injury attorney and file a claim so they can bring these companies to justice. Consumers trust companies to make reliable and safe products that they can use in everyday life without fear of injury; however, not all manufacturers create products with the safety of consumers in mind and often ignore regulations concerning how a product should be made. Depending on the product and the nature of its defect, a variety of injuries can be inflicting on unsuspecting consumers. Dangerous products may cause catastrophic injuries or even death. Product defects occur in one of two ways, either during the design or manufacture. Either way, it is the company’s responsibility to ensure that products are not put on the market that feature defects which would injure a consumer. Even small mistakes can make a product dangerous in unexpected ways, such as defects in motor vehicle equipment, medical devices, and children’s toys. When these products feature harmful defects, consumers can be easily and seriously harmed by the accidents they cause. If you or a loved one has been injured by a defective or dangerous product, you may be able to get compensation for all the damages you have suffered. 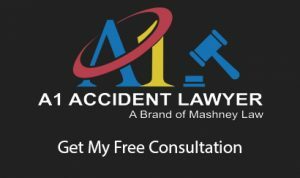 For a FREE Consultation on your legal rights and options contact the experienced Anaheim product liability attorneys at Mashney Law today to receive dependable legal counsel that’ll help you get the maximum recovery. Call us at (714) 535-5090 today. Under California and federal laws regarding consumer safety, there are two distinct categories of product defects: design and manufacturing. Manufacturing defects take place on the assembly line or wherever the parts are put together and formed into the end product. Especially in mass production, there is bound to be a small percentage of defective products that result. The manufacturer should have safeguards in place that detect and separate defective products from the rest of the batch. They should also oversee regular maintenance and checkups of the construction equipment to make sure that things are in working order and a reasonable standard of quality is upheld. Under strict liability rules, a manufacturer can be held liable for any injuries that result from manufacturing defects. Were the product’s dangerous features apparent before production? Could the designers have reasonably anticipated the potential dangers behind the faulty design? Did the manufacturer have the option to utilize a better and safer design without having to alter the product’s purpose completely? If your answers to any of these questions are in the affirmative, you may have a valid claim based on a defective design. Who Are the Dangers of Defective Medical Devices? The answer to this question is self-evident. Medical devices are often used in highly sensitive procedures that require them to be functional and dependable. A defective medical device can cause all sorts of issues, including halted procedures and botched surgeries, both of which can result in serious injuries or even death. Beyond operations and other medical interventions, the devices used to sustain patients long-term should be working correctly on a consistent basis. This is why it is absolutely crucial that medical devices be designed and built properly. What are the Dangers of Defective Vehicles? While automobile safety technology has definitely seen vast improvements over the years, vehicle accidents remain to be one of the top killers of people in the nation. Most are caused by driver oversight and negligence; however, a significant amount can be attributed to faulty vehicle design and/or manufacturing. The National Traffic Highway Safety Administration (NHTSA) is still reporting mass recalls on a frequent basis as car companies continue to pump out defective vehicles. Both structural and functional defects can put drivers in serious danger, especially since mechanical breakdowns from defects often come as surprises. What are the Dangers of Defective Home Products? Homes are supposed to provide people with shelter from the dangers of the outside world. Yet, shoddy building material and other defective home products can cause one’s shelter to suddenly become a hazard itself. Structural defects can result in considerable property damage and even disastrous accidents, putting the lives of those inside at serious risk. Seemingly minor home products, like fire alarms and smoke detectors, can cause major problems if they fail to operate as they should. Who Should I Hire for my California Product Liability Claim? Proving the fault of a manufacturer and receiving compensation for your losses is no easy task, but you can find success with the help of a skilled Anaheim product liability attorney at Mashney Law. Our legal team is dedicated to the well being of clients and to preventing manufacturers from continuing to endanger the people of California. We will tailor our insight and years of experience to your unique case for the best chance at success. Call us at (714) 535-5090 to learn more about how we can help and what your legal options are in the wake of injury.